The past few weeks we have had some new visitors: A lady by the name of Collete and her young daughter Antonia. It has been a real blessing to see some new faces in the church recently. Collete as with many other people that we have met here, have a background of different religions and teachings that usually don’t line up with God’s Word. I Timothy 4:6-7 “6 If thou put the brethren in remembrance of these things, thou shalt be a good minister of Jesus Christ, nourished up in the words of faith and of good doctrine, whereunto thou hast attained. 7 But refuse profane and old wives' fables, and exercise thyself rather unto godliness.” We are thankful for the privilege and opportunity to share the Gospel and teach them what the Bible says about eternal life. We want to ask you to be praying for them. Be praying that they will keep coming and that they will continue opening their hearts to what God wants for their lives. I John 5:11-13 “11 And this is the record, that God hath given to us eternal life, and this life is in his Son. 12 He that hath the Son hath life; and he that hath not the Son of God hath not life. 13 These things have I written unto you that believe on the name of the Son of God; that ye may know that ye have eternal life, and that ye may believe on the name of the Son of God.” It would be a blessing to see them, as well as others come to the saving knowledge of our Lord and Saviour Jesus Christ. The area where our church is located is an area that continues to grow. Here are some pictures of one new neighborhood that will eventually contain many more families that are within reach of Iglesia Bautista Amistad. This coming month we’ll be printing and handing out church invitations in this area. Pray with us that we’ll see fruit from this labor that may abound to your account! We’re thankful that the Lord has allowed us to plant the Word of God in the lives of these children. I Corinthians 3:6 “I have planted, Apollos watered; but God gave the increase.” Be in prayer with us that the seed of God’s Word will do a great work in their lives. We desire to see God give the increase in the heart of these little children. Not just in their lives, but also the possibility of reaching their parents as well! In addition to recently having VBS, we also had a combined youth meeting of several churches within a 45 minute radius of Amistad. There were a tremendous number of teenagers that came and participated in this special meeting. One of the highlights was the fact that one young man that is 19 years old did the preaching for the service. He did a wonderful job and it is great to see God calling young men into His service! For the month of March our family will be going back with Delaney to get her settled back in the States. Delaney has been a great asset to the ministry here in Chile and will be greatly missed. We ask for your prayers concerning the decisions that she will be making in her life; decisions to follow God’s Will. I would also ask that you pray for us as we will be returning to the mission field with one less child. It will be difficult, but we know that God’s grace is sufficient. Matthew 28:19-20 “19 Go ye therefore, and teach all nations, baptizing them in the name of the Father, and of the Son, and of the Holy Ghost: 20 Teaching them to observe all things whatsoever I have commanded you: and, lo, I am with you alway, even unto the end of the world. Amen.” The greatest thing we will ever see in this lifetime is when someone trusts Christ as their personal Saviour. This young man Felipe made that decision recently. It’s been great seeing the Lord do a work in his heart and is wonderful to see the changes that are taking place. As with any child of God, we desire to see them seek and follow after the Lord. One of those steps along the way is baptism. I had the privilege of baptizing Felipe on January the 18th of this year. Be praying with us for Felipe, as he continues to grow in the Word of the Lord. As we begin this New Year, we are praying for God’s direction and guidance as we move forward with the ministry here in Santiago, Chile. Every year God presents us with challenges as well as opportunities to do more for Him. Proverbs 3:5-6 “5 Trust in the LORD with all thine heart; and lean not unto thine own understanding. 6 In all thy ways acknowledge him, and he shall direct thy paths.” Be in prayer with us as we continue to reach more people with the Gospel of our Lord and Saviour Jesus Christ. Philippians 4:17 “Not because I desire a gift: but I desire fruit that may abound to your account.” We want to see more souls saved this year for the glory of God and also that they abound to your account. It is always exciting to see what God is going to do through us and for us as we follow Him. We are also looking forward to God’s children growing, maturing and following the Lord’s Will! What a blessing it is to see the results of much labor. There was our time spent on deputation raising the funds to come to Chile. 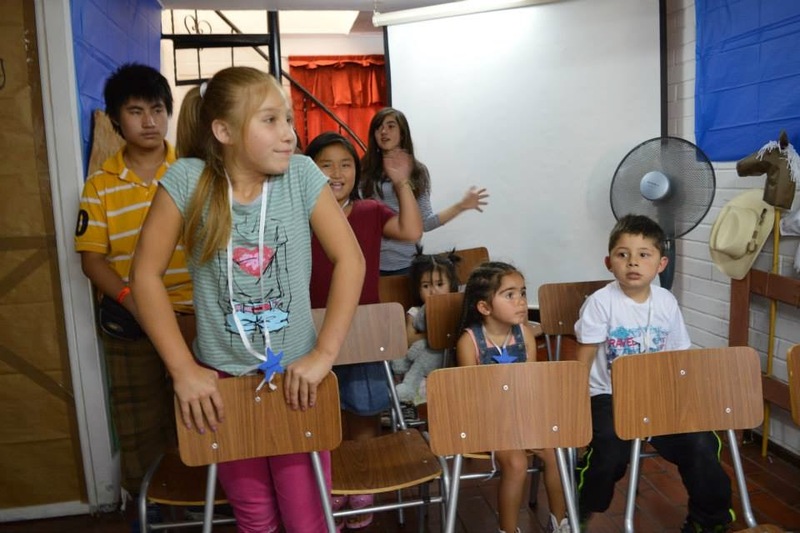 After arriving, we got settled in and began learning Spanish and getting accustomed to the culture. After this time we started searching for a church building to get started in. God gave us a good location and we had our first service on October the 24th, 2010. Almost four months after our first service this February, we saw our first soul saved. His name in Henry and he is 14 years old. I would ask that you pray for him. Now that he knows Christ as his personal Saviour, it is so important that he grows in the Lord. Also in February, we had two ladies that trusted Jesus as their Saviour. Their names are Cosette and Eugenia. As with Henry, they need to grow in the grace and in the knowledge of Lord and Saviour Jesus Christ. We praise the Lord for the fruit that we have seen. 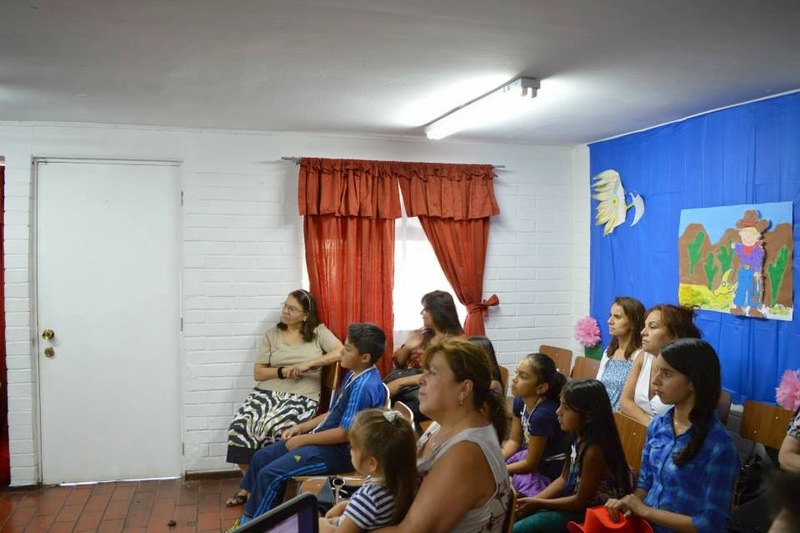 At the end of January and the first of February, about seven churches participated in an annual youth camp. The focus was for the youth to take the maximum risk in their Christian walk. Youth are challenged to do many things in their life and it’s not all bad things. The unfortunate thing is that they are not usually challenged to do much for their Lord. Pray for these young people to step out and do something for God. I had one young boy named Ivan who came up and hugged my neck one night after service because he became a child of the King. What a blessing seeing God do a work in their hearts! Continue to pray for the next generation. We thank God that our church is steadily growing. We are starting to see people who are being faithful to the house of God. This has been a true blessing. I Corinthians 3:5-7 “5 Who then is Paul, and who is Apollos, but ministers by whom ye believed, even as the Lord gave to every man? 6 I have planted, Apollos watered; but God gave the increase. 7 So then neither is he that planteth any thing, neither he that watereth; but God that giveth the increase.” We thank God that He gives the increase. On December the 19th in the morning service, we had our English class graduation. We are so thankful for those that came to the English class. 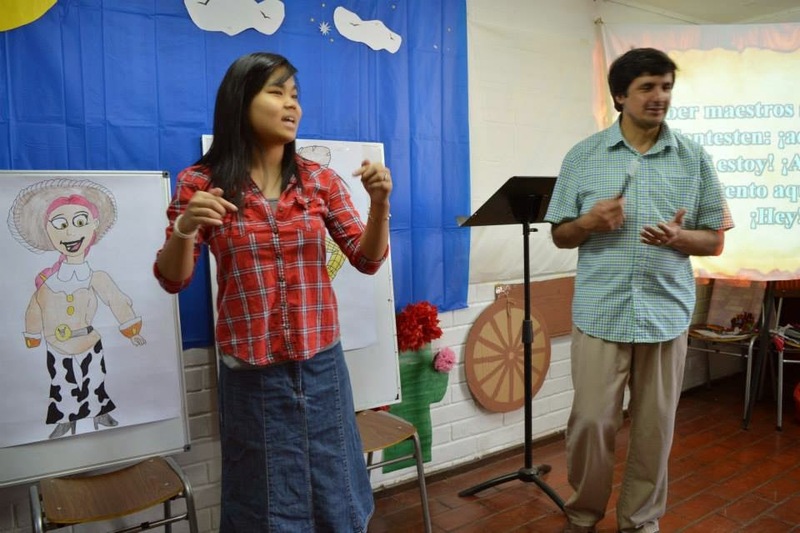 We had a great time teaching English of course, but we also had a great opportunity to share the Word of God. Each week the students had a Bible verse to memorize. Also, they were able to hear the Word of God preached before we had the graduation that morning. We are trusting in God’s Word to do a work in their hearts. During this time, we really got to build some relationships with the people in the neighborhood. This was one of our main goals. Keep praying for the people in this picture that graduated and even others that had come for some of the other classes. It is our prayer to see these people come to the Lord! For the month of December Stephanie taught a series of lessons on the birth of Christ to the children. While she was doing this, she also taught them to play “Joy to the World” with hand bells. December the 19th in the evening we had a special Christmas service. During this time there was a special presentation where the children sang and played Joy to the World. We also had special songs by several people and preaching on the birth of Christ. We thank the Lord for the 43 people that came that night. It was a true blessing to see each person. After the service we had a great time of food and fellowship and were able to meet and talk to several visitors from around the church. Keep praying for the people in this part of Santiago, Chile. There are many religions in the area; this is exactly what they do not need, but what they do need is the Redeemer, Jesus Christ! We want to thank each one that has sent us Christmas cards and extra offerings for Christmas. This is a real blessing to our family. We never take for granted the blessing that you are to our family.